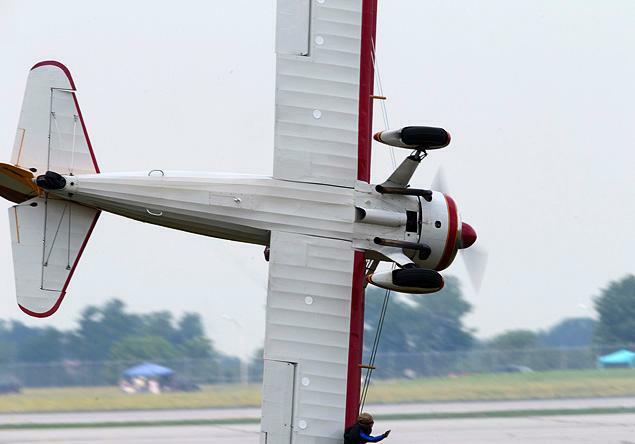 The name of the biplane: Aurora. The name of the wingwalker: Wicker. The twilight elements of time, space, and name came together on Saturday, June 22, 2013, just after the Summer Solstice. 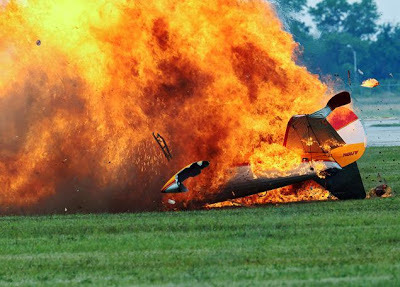 A biplane carrying a wing-walker – an aerial daredevil who traverses the length of an aircraft during flight – crashed into a field and burst into a ball of flames during an air show in Ohio, killing the stunt performer and the pilot. 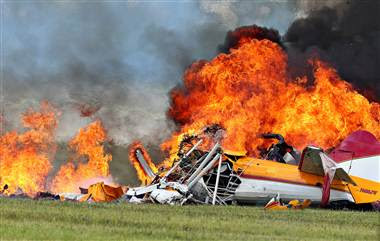 Jane Wicker and her veteran pilot, Charles Schwenker, were killed after their biplane slammed into the ground just before 1 p.m. Saturday at the 39th Vectren Air Show at Dayton International Airport in Ohio. 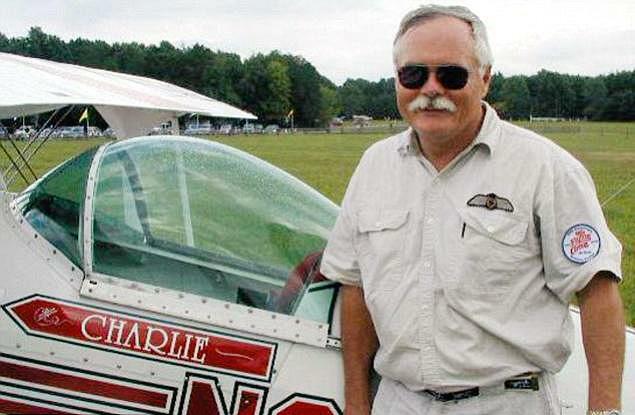 Federal records show that the Boeing Stearman was registered to Wicker, who lived in Loudon, Virginia. 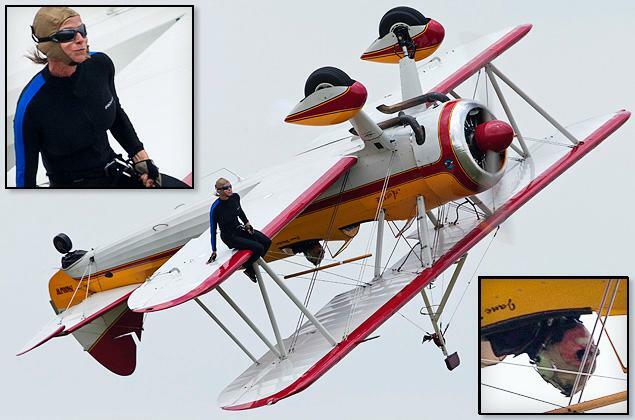 Wicker’s website says she took up her risky hobby in 1990 after responding to a classified advertisement from the Flying Circus Airshow in Bealeton, Va., and within years was among an elite cadre of high-altitude daredevils. 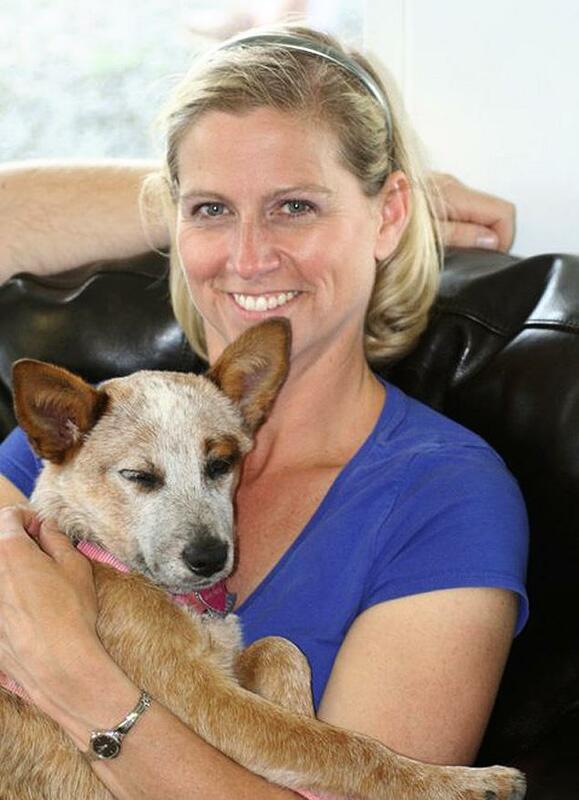 Saturday's Dayton air show website described her act as "daring and breathtaking." "With no safety line and no parachute, Jane amazes the crowd by climbing, walking, and hanging all over her beautiful 450 HP Stearman aircraft she affectionately calls 'Aurora,'" the site noted. Wicker was reportedly a contract budget analyst with the Federal Aviation Administration, according to the AP. It is with sad hearts that we announce that Jane Wicker and Charlie Schwenker were tragically killed while performing at the Vectren Dayton Airshow. Even the media's quoting of eyewitnesses, strangely, oriented towards the "Wicker" name game. 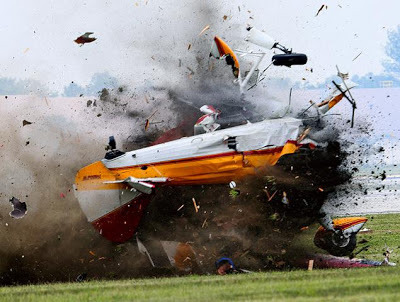 Shawn Warwick of New Knoxville, Ohio, remarked to the Dayton Daily News that the Aurora appeared to be flying unusually low to the ground before plummeting. 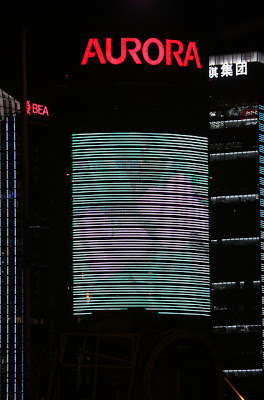 This event brings together several twilight language threads. 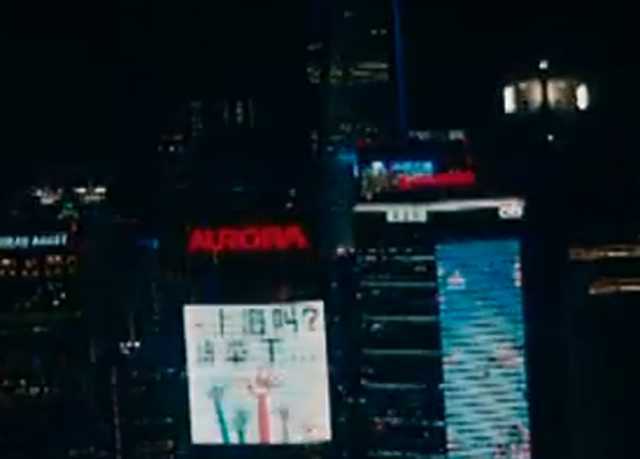 The Aurora building in the James Bond movie, Skyfall. The name of the stunt plane in this crash was Aurora. Aurora, due to The Dark Knight Rises shootings at Aurora, Colorado, is a familiar word. Aurora means "dawn." The entire appearance of Aurora highlighted a synchromystic wonderland. Charlie Schwenker's surname's origins are in Schwenke, which is derived from the Middle High German word swenke, meaning "to swing." This was probably a hint concerning the gait of the person. Unfortunately, the final swing of this plane was fatal to Schwenker and Wicker. Much has been written in the twilight language and synchromystic fields of the significance of the name Wicker. 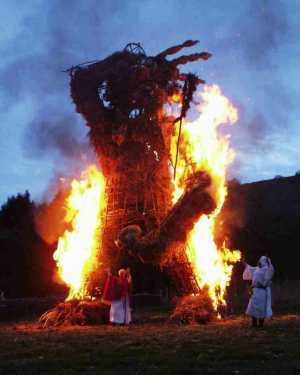 These are Wicker Man (above) in folklore and film, Wicker Street and the Wicker name in the Son of Sam murders, and many other links to Jane Wicker's name and her fiery death, symbolically. As recently as April, the name Wicker came up tied to the ricin letters. 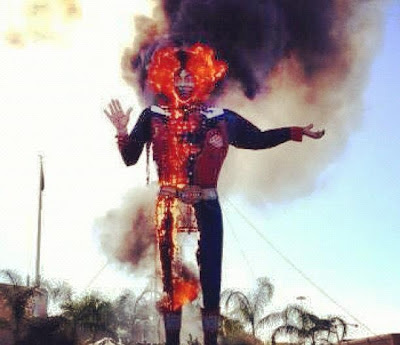 Wicker Man burnings include Burning Man in Nevada, and the seemingly isolated incident of the burning of Big Tex in Texas (below). 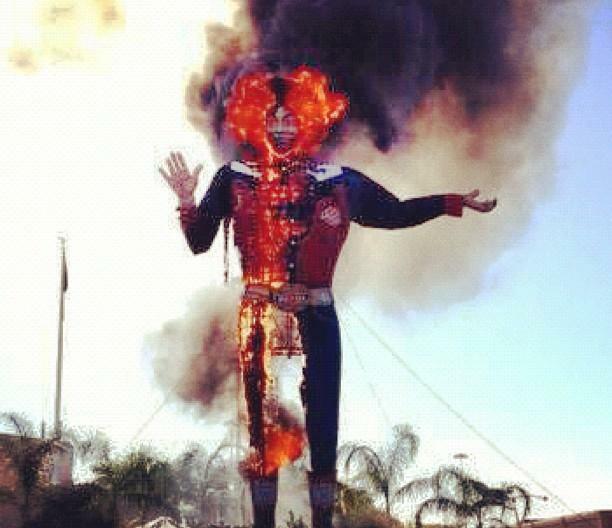 For fuller details on Wicker, see The Wicker Man Burns. This years US open held at the Merion Golf Club outside of Philly used flagsticks topped with wicker baskets instead of flags.